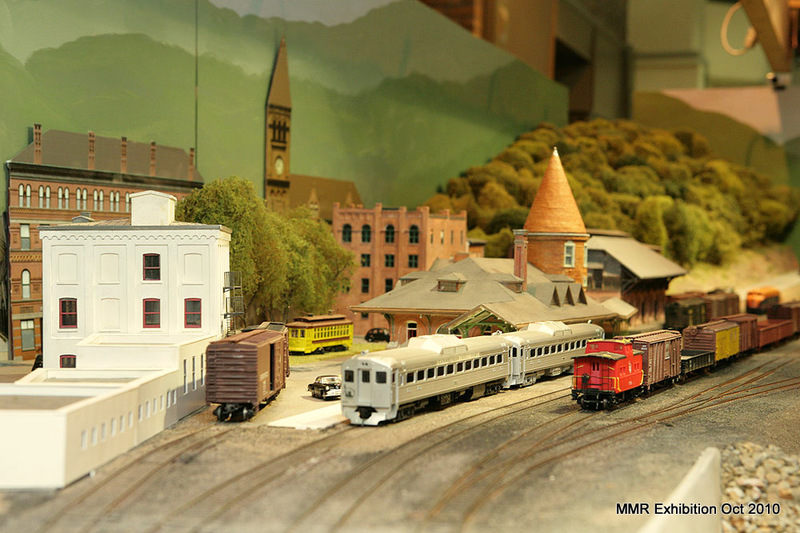 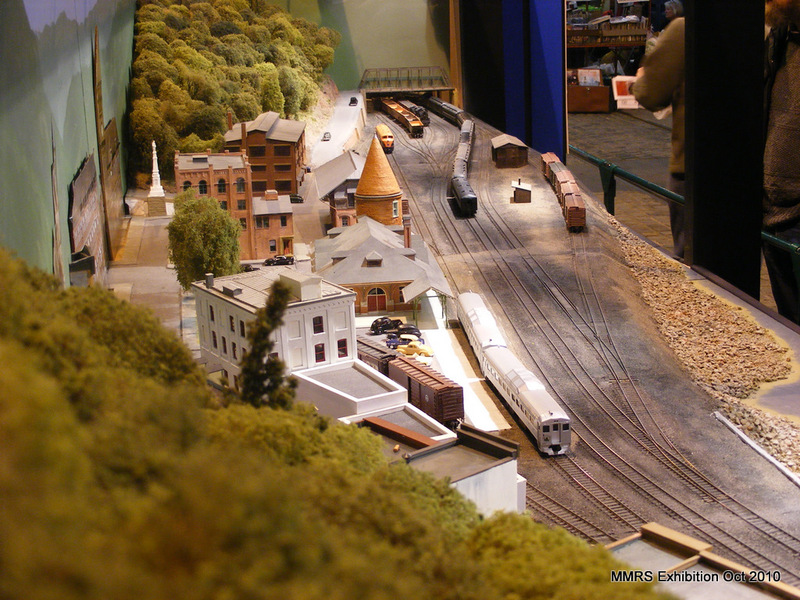 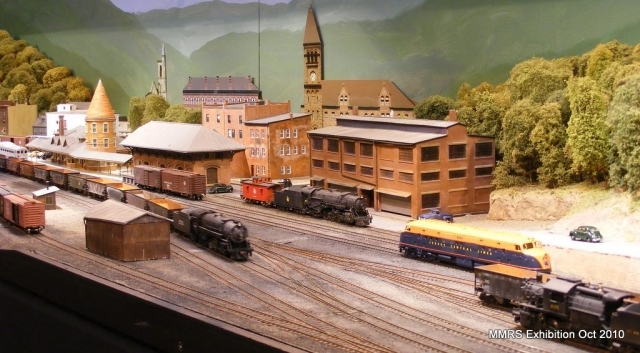 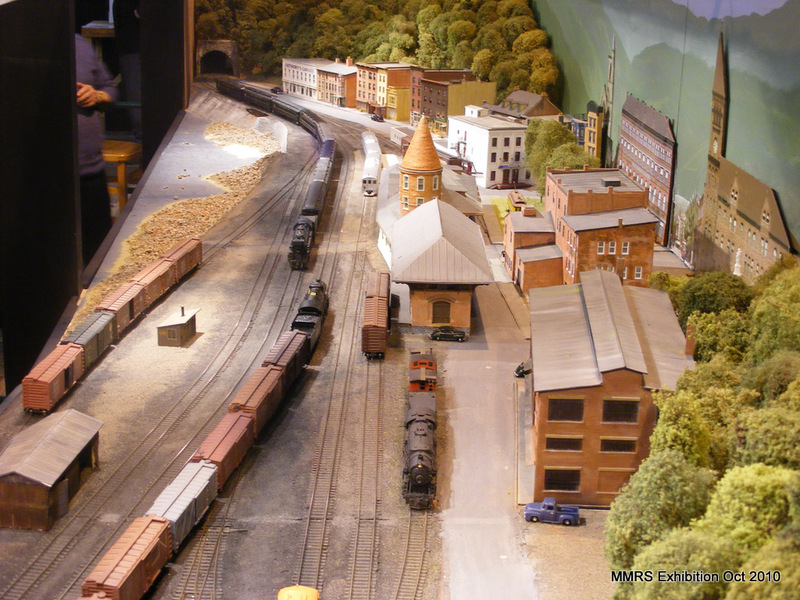 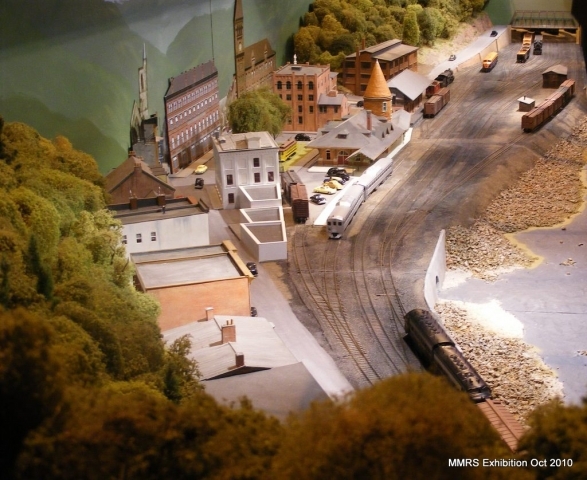 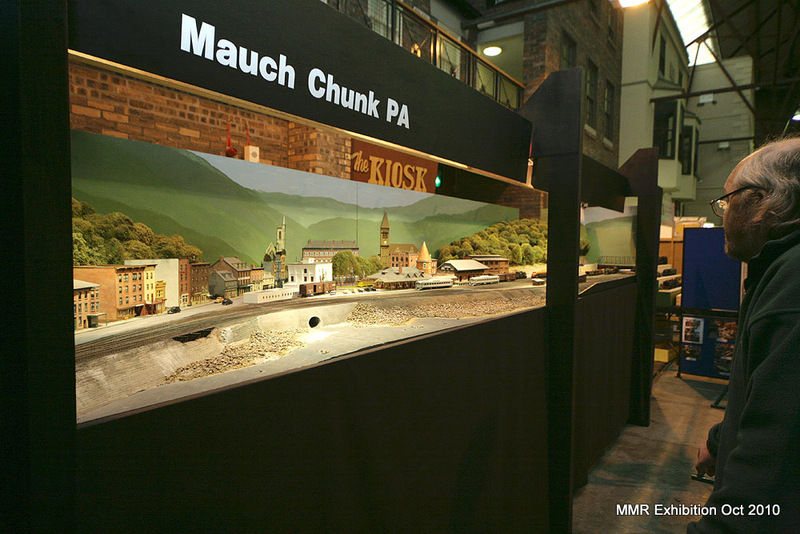 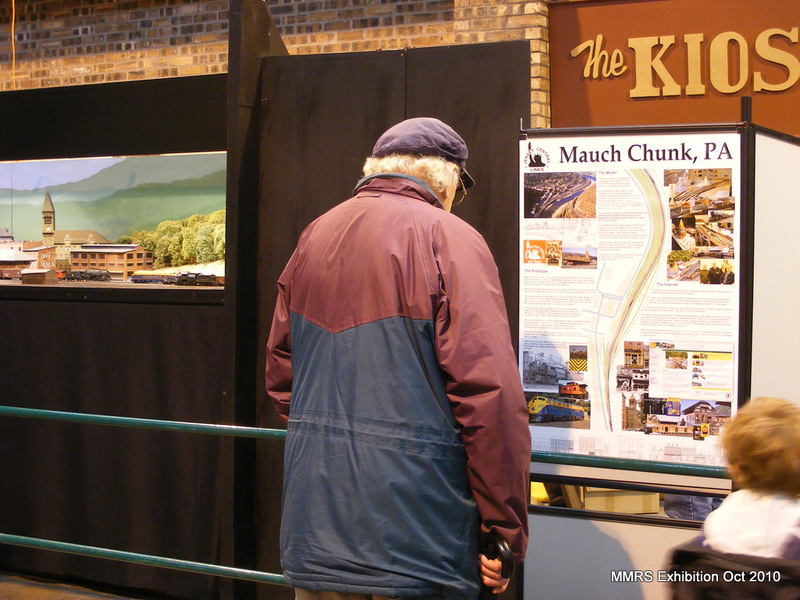 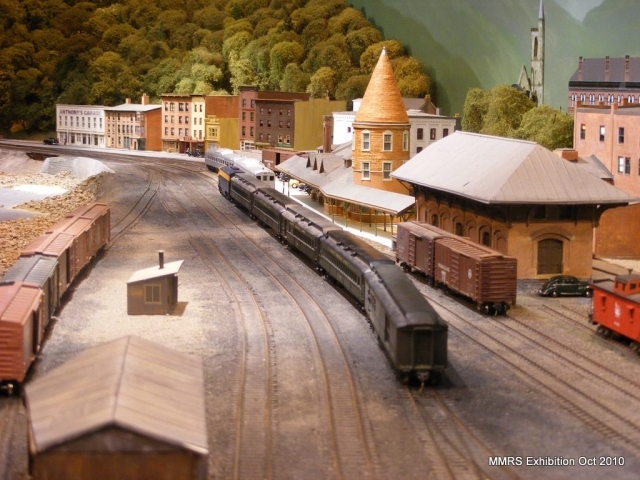 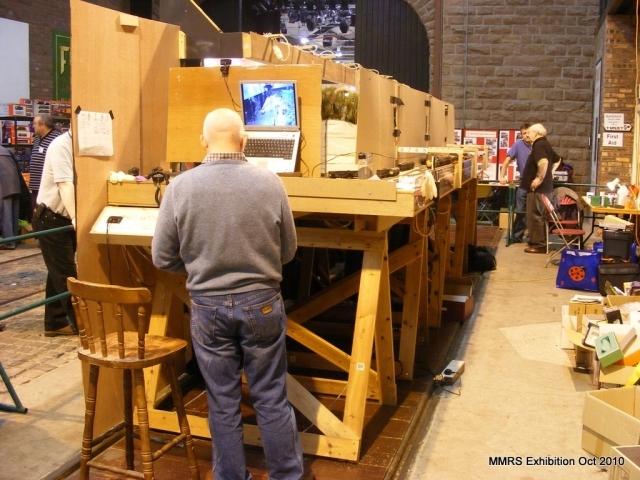 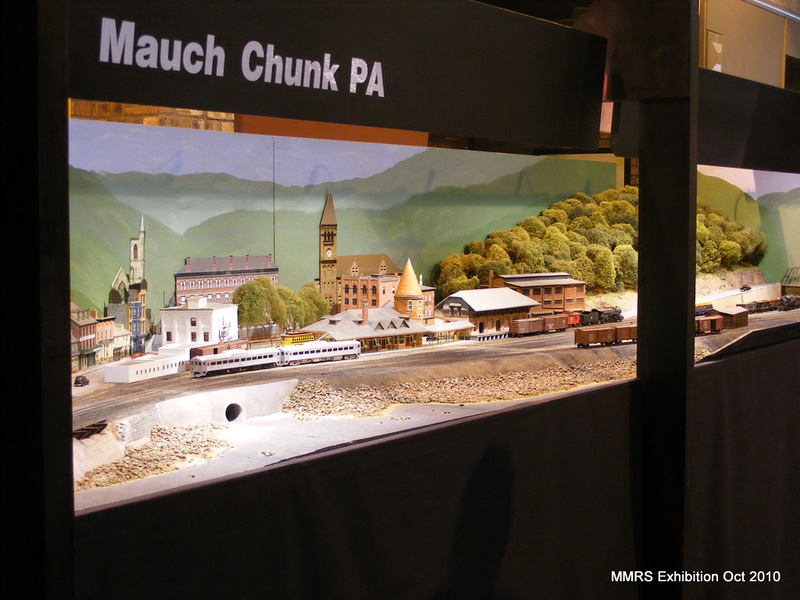 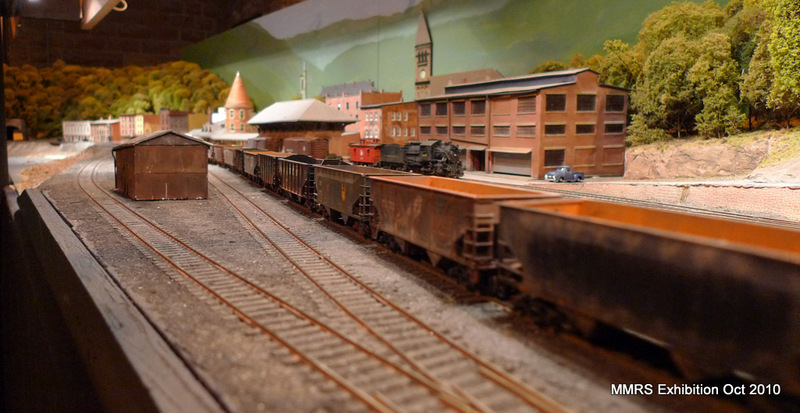 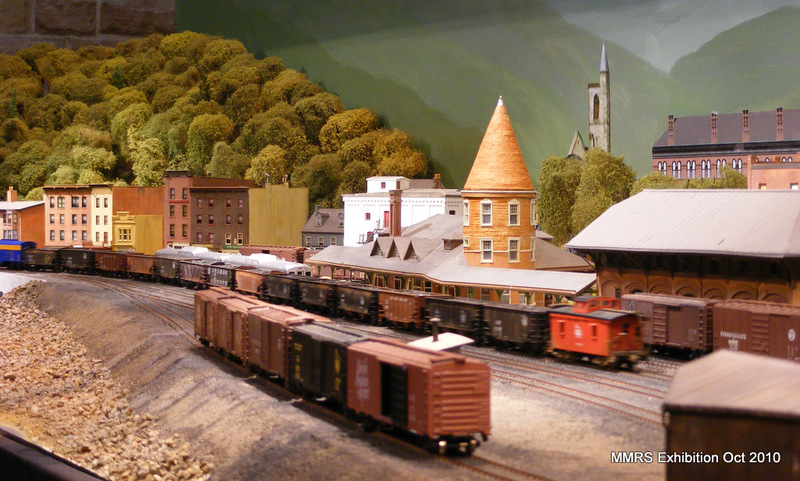 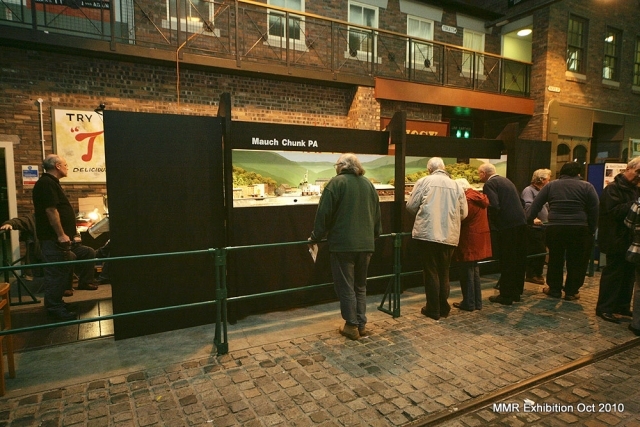 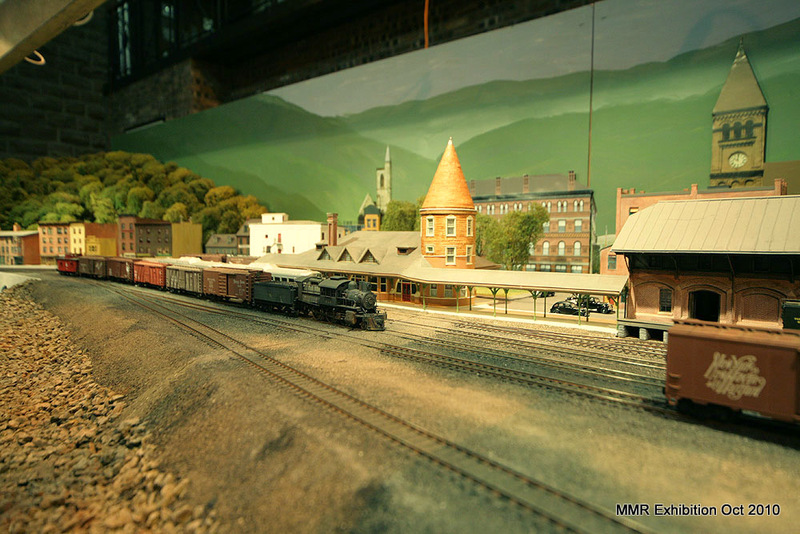 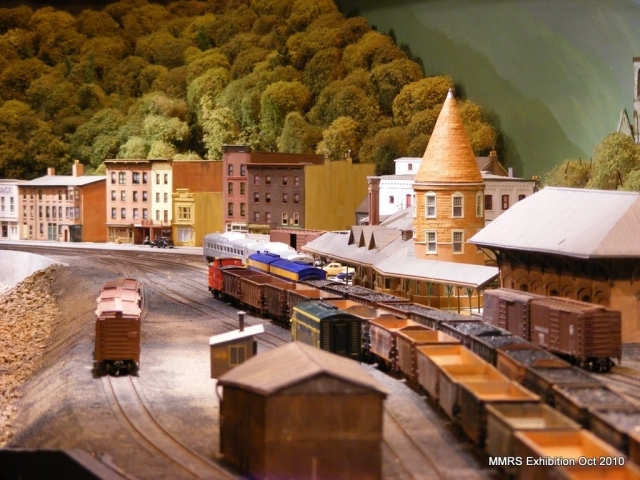 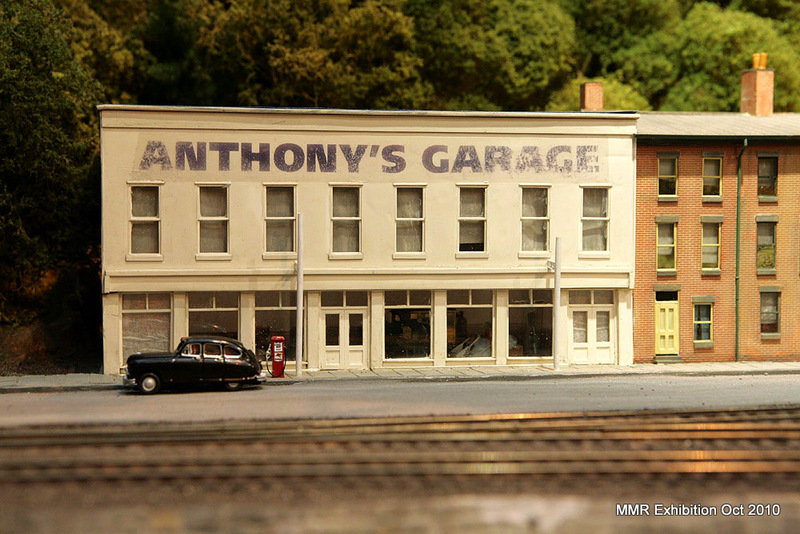 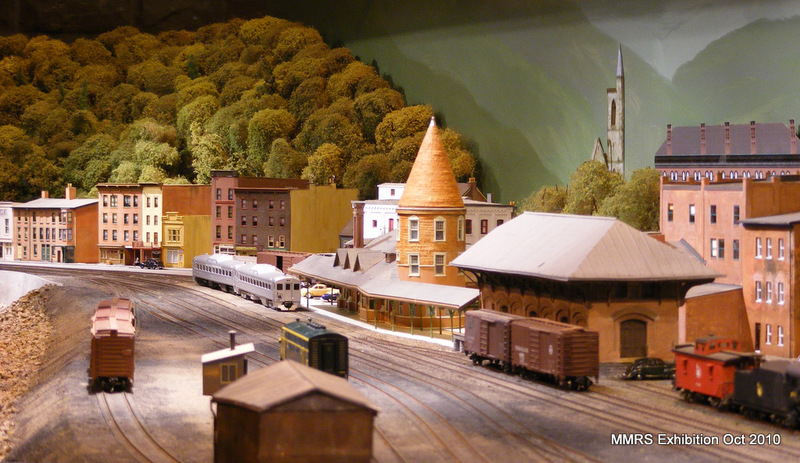 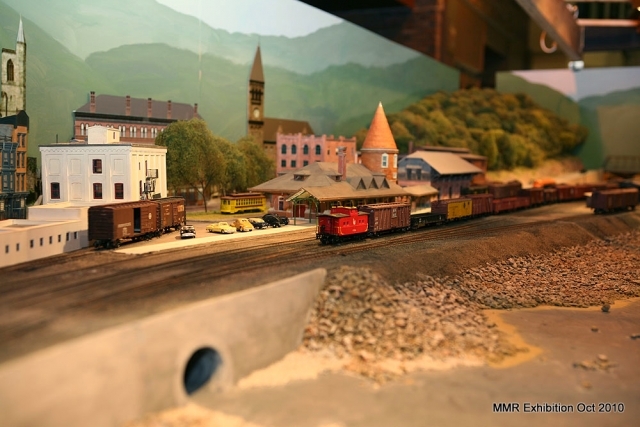 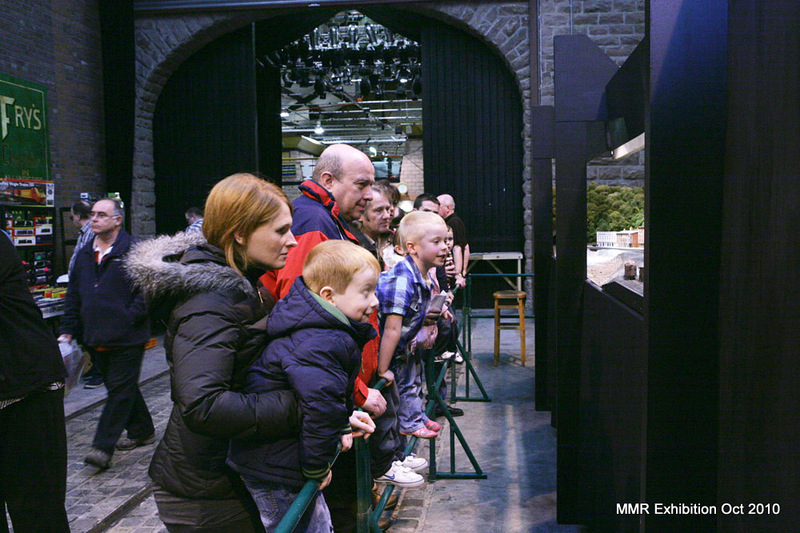 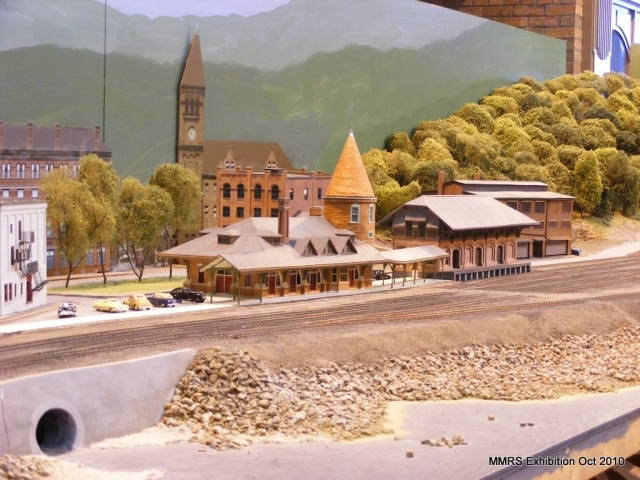 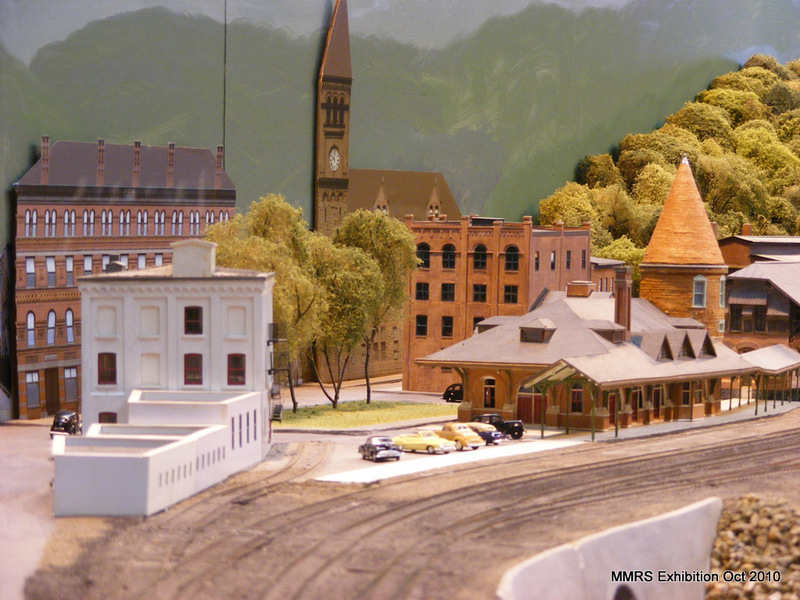 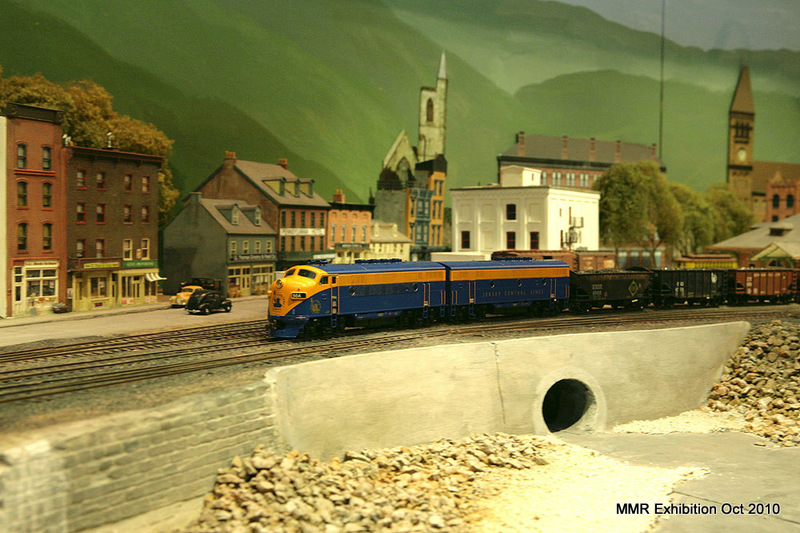 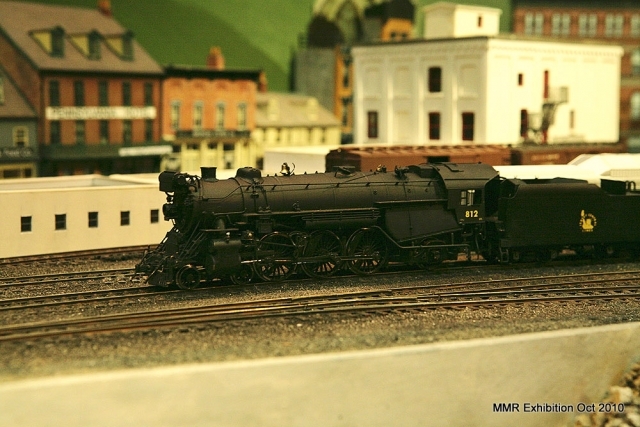 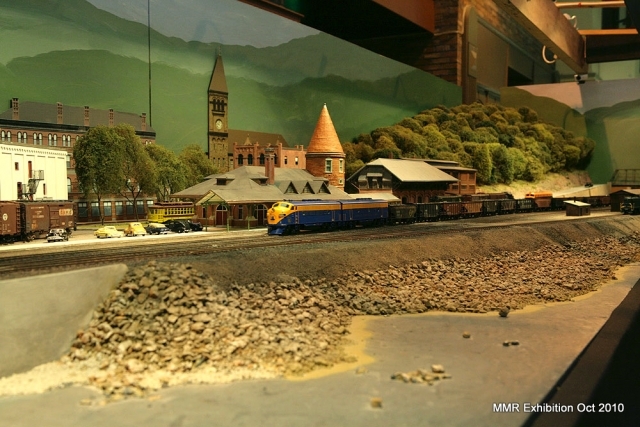 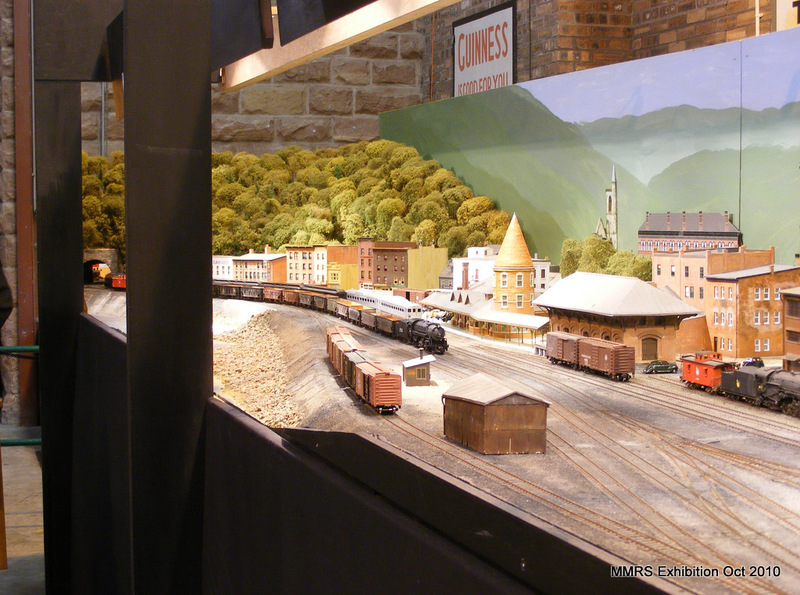 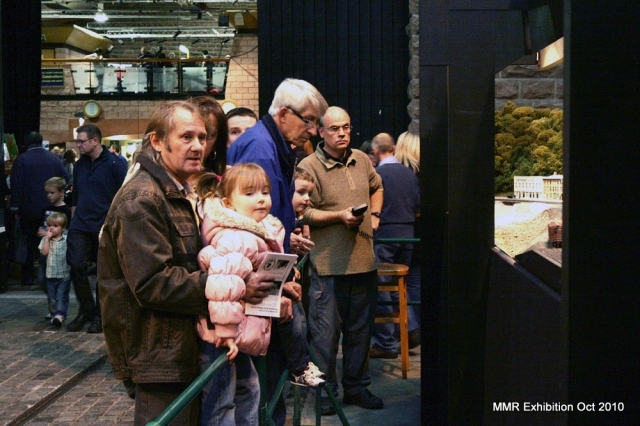 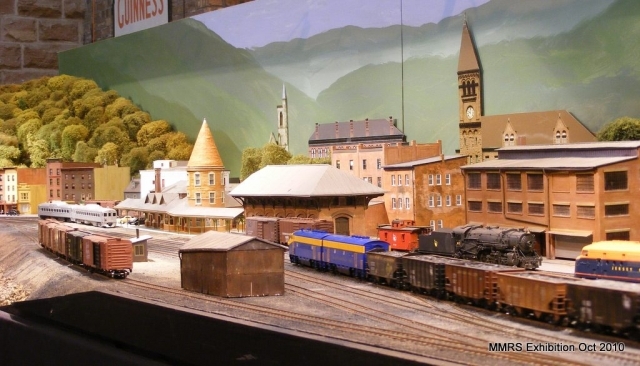 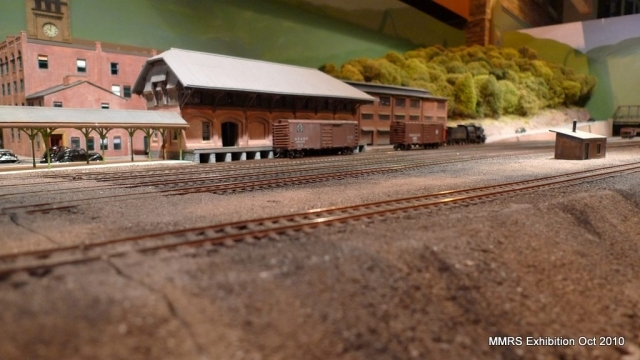 For its first ever model railway exhibition outing, Mauch Chunk PA attended the Merseyside Model Railway Society exhibition – i.e. 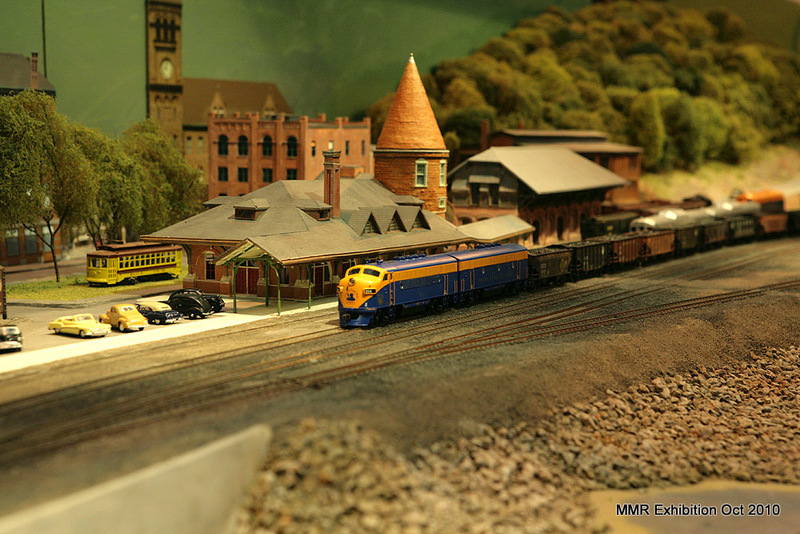 home turf. On the whole the layout ran very well: Nearly every problem could be solved by cleaning track or wheels and Paul’s electrics proved robust and faultless. 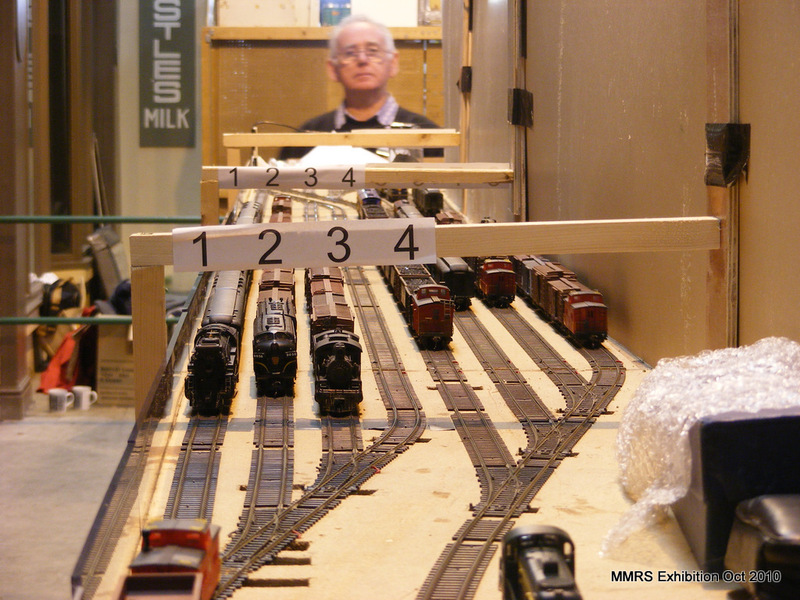 We inevitably ‘shorted’ the track many times by running into switches set the wrong way so Paul will modify the system to reduce this. We were running a number of non-CNJ locomotives (including some BLI Mikados that will be turned into CNJ M3s at some point). 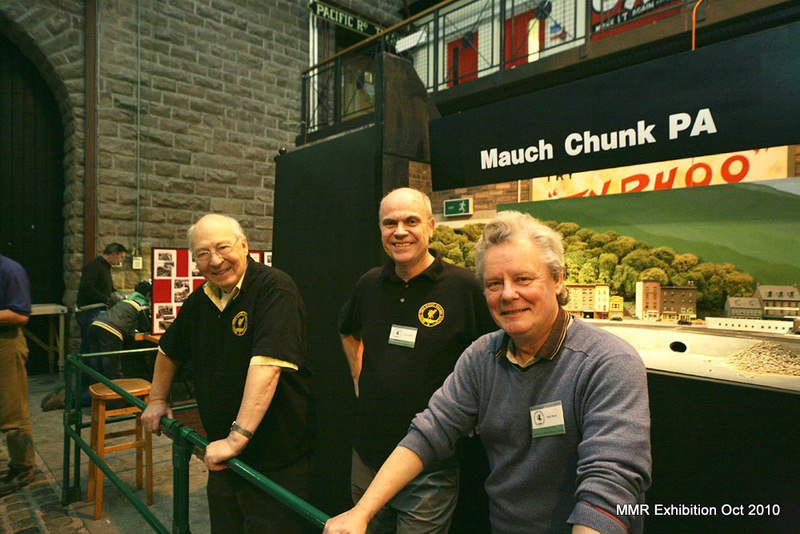 This is Chris and Steve being presented with the cup by the Chairman, Mike McManus, and a couple of photos of three of us (Chris, Steve & Paul) with the layout. 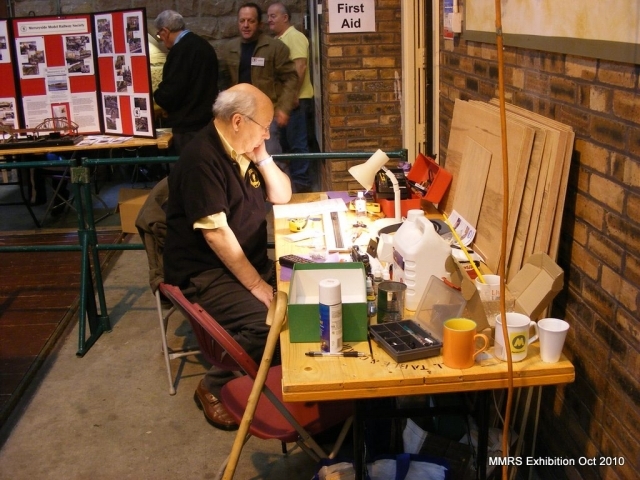 Dave wasn’t present on the Sunday when the photo was taken. 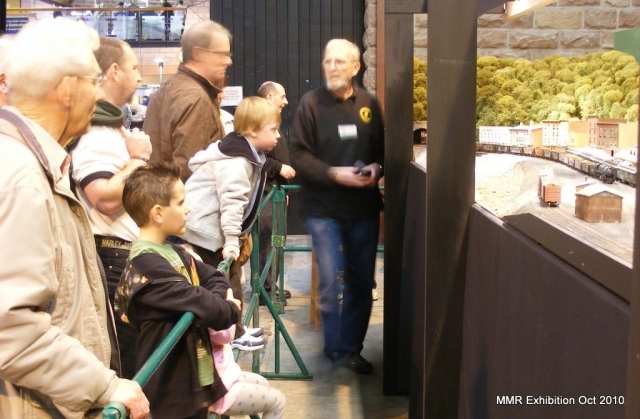 The sound-chipped Mikados and F3s proved very popular with the visitors and may have been the clincher in our winning the visitors’ cup for the public’s favourite layout (of 12) at the Exhibition! 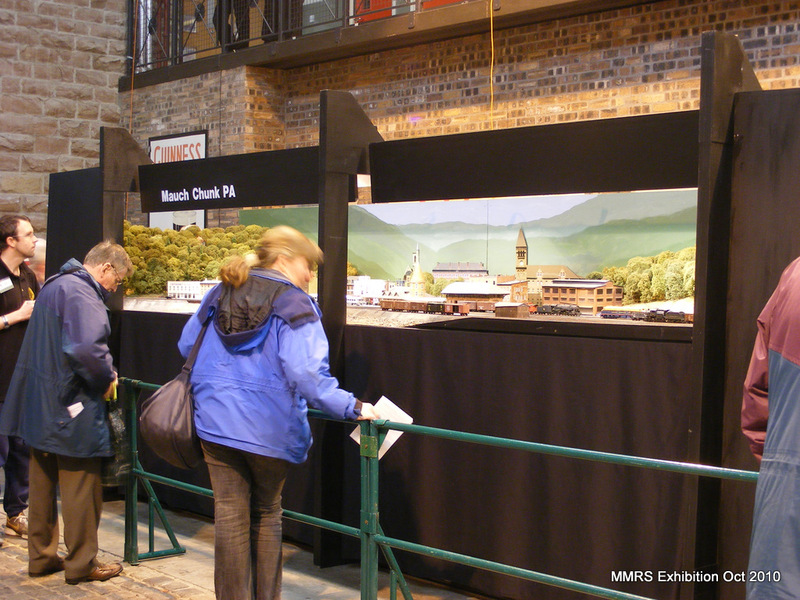 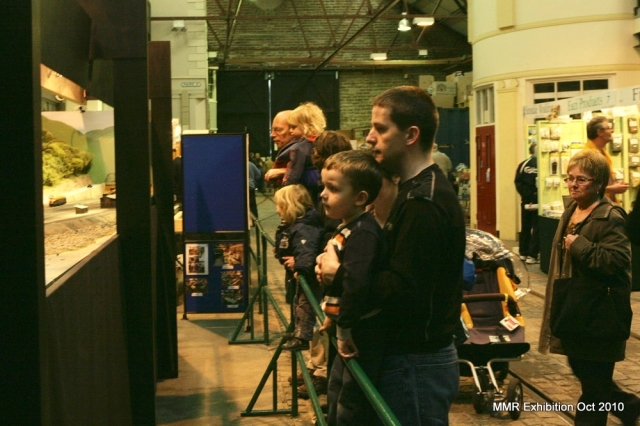 Here are some of the visitors enjoying the experience and lots of photos (probably a self-indulgent amount) of the layout over the Exhibition weekend – all mixed up! 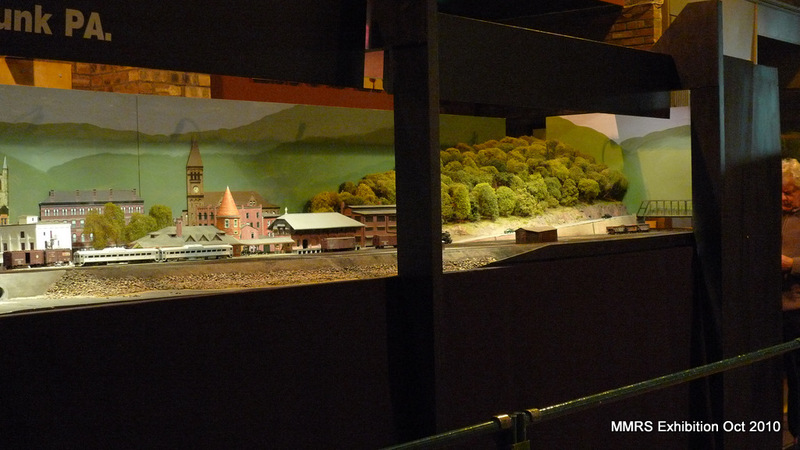 Note that the central support will be removed for future exhibitions and the backscene and associated buildings will be prepared anew. This entry was posted in Exhibitions, Merseyside 2010 on October 31, 2010 by Steve Hales.